Built in 2003, this Prairie School style building serves as an excellent example of a compatible infill structure, meaning that the new architecture blends well with the already-existing neighborhood. The building is currently occupied by the St. Jane House, a ministry of the Visitation Monastery of Minneapolis and run by the Visitation Sisters, and owned by the St. Jane House executive director. St. Jane House operates as an urban retreat center and house of hospitality. 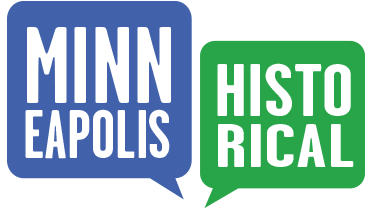 Their services include guest rooms for overnight visitors, opportunities for education and urban immersion, tutoring and safe space for neighborhood youth, community dinners, and other gatherings that promote peace and work for justice on the North Side of Minneapolis. Built in 2003, this Prairie School style building serves as an example of a compatible infill structure. This home design was adapted from an award-winning entry in a neighborhood design competition specializing in designs for small lots. 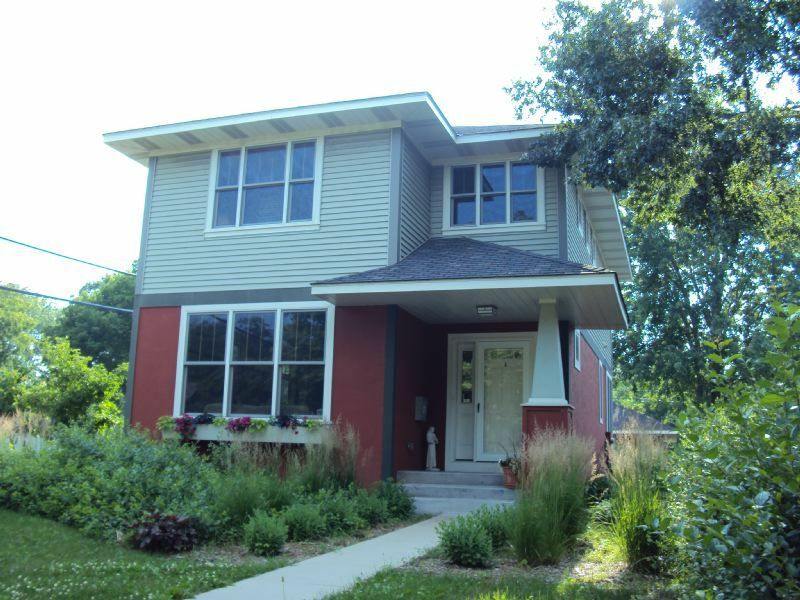 The builders, Michlitsch Builders Inc. constructed three other architect-designed homes in Old Highland: 1401 Girard; 1508 Girard; and 1611 Emerson, all of which were also award-winning designs in the small-lot competition. The first floor is stucco; the top floor lapped siding. One interesting feature of the house is its skillful use of new synthetic materials that are low-maintenance, more durable, more weather-resistant, and more energy-efficient than traditional wood siding. In this case, the builders used fiber cement lapped siding, with wood composite trim. The asymmetrical structure features a low-pitched, hipped roof with widely overhanging eaves. The façade detailing emphasizes horizontal lines, and the tapered porch column supports the hipped porch roof. Old Highland Neighborhood Association, “1403 Emerson Avenue North: St. Jane House,” Minneapolis Historical, accessed April 22, 2019, http://minneapolishistorical.org/items/show/27.